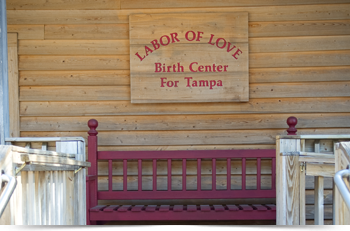 Labor of Love Birth Centers have been in the Tampa Bay area providing complete, holistic care for pregnant women and their families, since first being established in 1985. 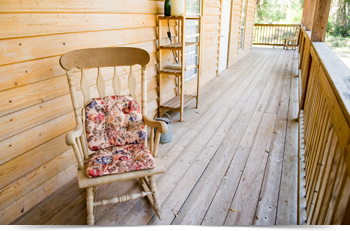 In 2006, the Birth Center in Lutz changed ownership to Bea & Iain Rowell. Bea, a UK trained midwife, oversaw the refurbishment of the Center and has recently taken a step away from clinical practice to focus on the administrative side. Michelle Ruffalo (LM., CPM. ), as Senior Midwife, along with Karla Holt (LM., CPM. ), Emily Hovet (LM., CPM) and Cori Lynn Duarte (LM., CPM) continue to offer excellent, holistic care to Tampa families throughout their pregnancy and birth. Care with a midwife is based upon the principles of ‘The Midwifery Model of care‘ which has been proven to reduce the incidence of birth injury, trauma and cesarean section. We believe birth to be a normal life process which should not be viewed as an illness. Throughout the pregnancy, birth and postpartum period, the midwives will monitor the physical, psychological and social needs of the woman. Midwifery care is very personalized and women are able to build close relationships with their caregivers giving a relaxed and trusting environment when it comes to labor and birth. As a client at Labor of Love you will be seen frequently throughout your pregnancy and offered routine screening, with additional screening as required. At each appointment you will be given the time you need to meet with one of the midwives and discuss your ongoing wellbeing and plans for the birth. Routine care at each appointment includes monitoring of blood pressure, pulse, weight and urinalysis. The midwives will measure your uterus, listen to the baby’s heart beat and assess its position. We often find that this is the most fun part for siblings and encourage them to become involved! We offer a full program of Childbirth Education, dependent upon your individual needs, so you will feel fully prepared for your childbirth experience. Throughout your pregnancy and in your postpartum period, you will have 24 hour access to a midwife who will be available to address any problems or issues you may be experiencing. Should any issues arise that are outside our scope of practice, we are able to refer you to a Consulting Obstetrician for the appropriate care. When the time comes for your baby to be born you will be met by one of the midwives at the Birth Center. She will stay with you, monitoring your progress and providing continuous, hands on care until after your baby is born. You will be given the freedom to move around and do whatever your instincts lead you to do while you labor. We encourage nourishment and hydration throughout the laboring period. While we do monitor yours and the baby’s wellbeing, this is not done in an obstructive manner. The midwife may suggest positioning changes or other advice but ultimately, the manner and place in which you choose to birth your baby are your choices.Pharmaceutical pain relief is NOT available in the Birth Center. Supported, empowered women labor and deliver with the emotional and physical support of experienced caregivers who will discuss natural methods of pain reduction (water, massage, homeopathic and aromatherapy). Partners and families are often in awe of your ultimate strength.Postpartum care is provided at the Birth Center and as before, the midwives are available 24/7 if concerns arise. You will be seen at 24-72 hours after the birth, at 2 weeks, 6 weeks and at any other time necessary. Our families often feel sad when their care comes to an end at 6 weeks postpartum and we encourage you stay in touch by following our Facebook page, coming to Moms Group. To hear more, take a look around the Birth Center and meet with one of the midwives, please call 813 949 1185 to schedule a FREE orientation visit.